In Europe private litigation on antitrust matters is still in its infancy, though the European Commission is trying to foster it, as a further means to protect consumers and promote good business practices. Further, the potential offered by micro-economic tools and techniques for the assessment of damages is still not very well known to most practitioners, despite the large role played in this field in the US. 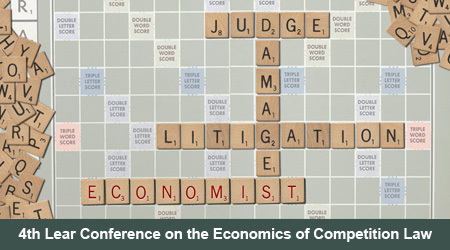 The aim of our conference is to make lawyers and judges aware of the possibilities offered by economics when applied to the calculation of damages, by fostering a discussion on the topics and presenting cases and examples from various jurisdictions. Does Europe lag behind the US in the development of an efficient system of private enforcement? What is the plan of the European Commission to foster damage actions by the victims of antitrust infringements? Should we expect an increase in law suits? Are national judges already well-equipped to deal with these cases? Do antitrust and IPRs cases bring any real novelty in the work of judges, or it will be “business as usual” for them? Are judges aware of the role that economics can play in these cases? What the victims of an antitrust infringement fear the most when they consider the possibility of bringing a damage action? Do firms understand the role that economists vs other possible advisers, such as accountants, can play in these cases? What is the situation with regard to class actions? What could be done to foster them, while avoiding unmeritous cases?